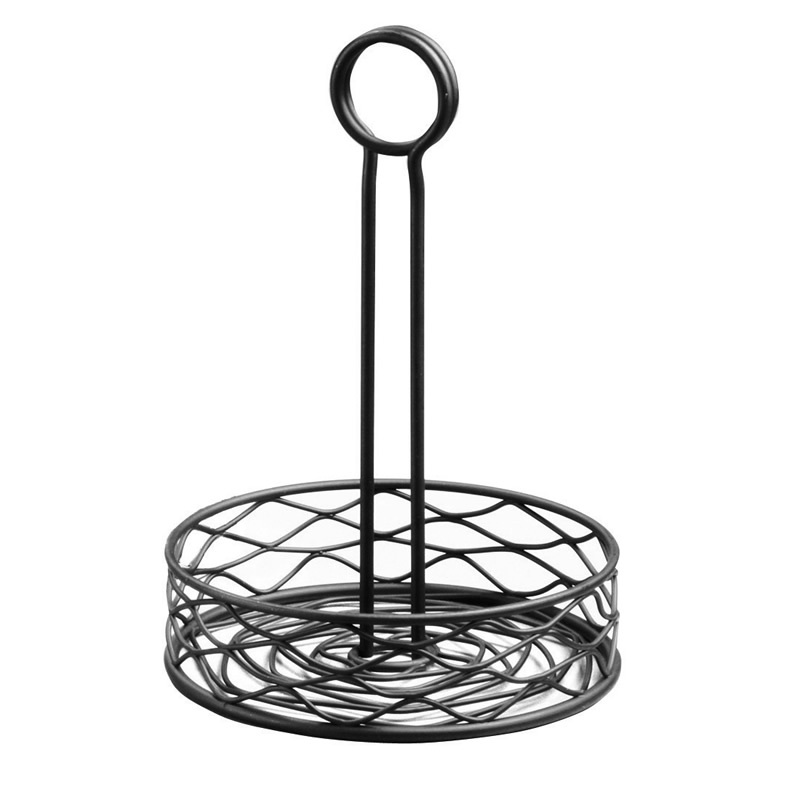 The Birdsnest Condiment Rack is designed to store cruets with condiments. 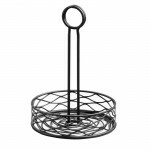 This wire basket is designed from mild powder coated steel in a black colour. The style of the wire is formed in a birdsnest pattern. The diameter of the base is 15.24cm. Sold singly.